The Ottman family got into the Christmas tree business when current owner Steve Ottman's grandfather needed to generate more income during the Great Depression. He opened a Christmas tree lot in Milwaukee, buying wild trees from a Wisconsin family farm that had wild Evergreens growing on their property. Some of the trees were grown in pastures and chewed by cattle. These trees looked similar to the shared trees of today. Those trees were in high demand. In 1946 Steve's father took over the Christmas tree business in the Milwaukee area and the Ottmans have had a constant, retail presence in Milwaukee since that time. In 1963 Steve's father started his first Christmas tree plantation. They purchased 17 acres of Steve's mothers family farm in Door County, just outside of Fish Creek, Wisconsin. Steve and his brother and sisters helped in the operation of that farm and in later years grandchildren also took part in the maintenance and it became a family "vacation" to work on the farm. In 1981 Steve and a close friend purchased some land in central Wisconsin and started planting Scotch and White pine. This was the first farm that Steve owned. In 1982 Steve married Sue, whom his family said was the only woman that would have him. 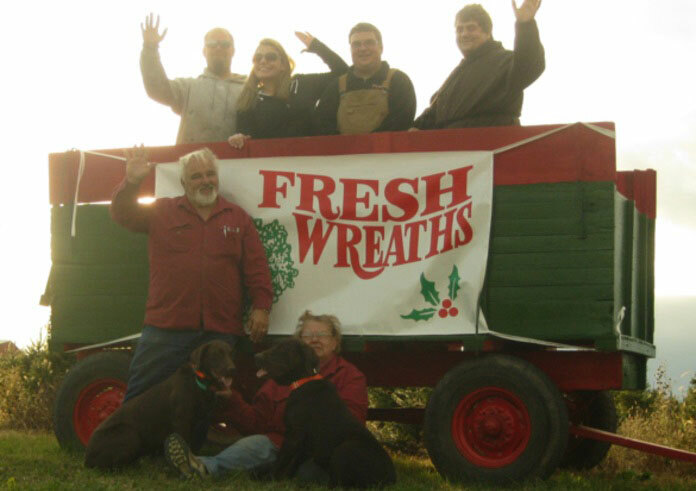 Together they purchased an existing Christmas tree farm in Adams county, Wisconsin. In 1984 their first of four children was born. From the time they were able to, they have helped on the plantations; be it picking pine cones, planting, dragging trees or whatever they were able to do. They are all still very active on the farm to this day. In 2001 we purchased a 48-acre farm in the town of Primrose in Dane county, located near Belleville, Wisconsin. Of course, no livestock for this farm, Steve continued his passion of planting and growing Christmas trees and working towards his goal of a cut-your-own business. We opened to the public in 2010 and sold our first tree to the Varda family, who are loyal customers still.We continue to plant trees every year to replace those cut and to expand the farm.